How would the proposed New York Health plan affect health care utilization and costs in the state? 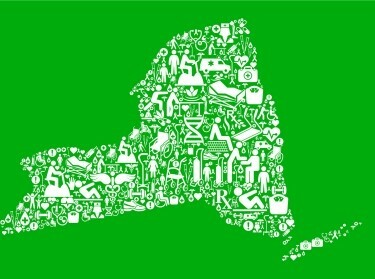 The New York State legislature is considering single-payer legislation — the New York Health Act (NYHA) — that would transform the landscape of health insurance coverage and financing in the state. The NYHA would create a state-sponsored single-payer health program called New York Health that would provide coverage to all residents of New York State. 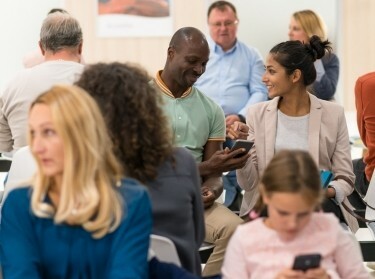 Health benefits under the plan would be comprehensive, including all benefits covered by Medicare, Medicaid, Child Health Plus, and those mandated under the Affordable Care Act; the exception is long-term care benefits that would not be covered under the NYHA initially but could be added later. Patients would have no deductibles, copayments, or other out-of-pocket payments at the point of service for covered benefits. To understand the near-term and longer-term impact of the single-payer proposal, the report's authors assessed how the plan would affect health care utilization and costs in the state. They used a microsimulation modeling approach to estimate the plan's effects on key outcomes and compare them with outcomes under the status quo for three future years: 2022, 2026, and 2031. Based on this analysis, the authors estimate that the NYHA could expand coverage without substantial increases in overall health care spending: in the short term, health care spending would be relatively similar if administrative costs are reduced and would grow more slowly over the longer term than under the status quo if provider payment rates are restrained. However, the NYHA would require new taxes and shift financing among households and businesses. The authors estimate that total health care spending under the New York Health Act (NYHA) could be slightly lower than spending under the status quo. Spending would be similar in 2022 and 3 percent lower by 2031, with the ten-year cumulative net savings being about 2 percent, if administrative costs and growth in provider payment rates are reduced. The initial similarity reflects the net effect of increased utilization of health care services offset by reduced administrative costs, while the decrease over time reflects the assumption that provider payment rates would grow more slowly over time under the NYHA. The NYHA would require large shifts in the types of payments people make for health care. Tax payments would replace premiums and out-of-pocket payments for covered services. After redirection of federal and state health care outlays to New York Health (NYH), the additional state tax revenue needed to finance the program in 2022 would be $139 billion, a 156-percent increase over projected total state tax revenue in the status quo. With NYH taxes that scale with income, payments for health care could decline substantially among lower-income residents and rise substantially among the highest-income residents under the NYHA. Employer health care payments would vary by whether the employer offers health benefits in the status quo. Those offering health benefits under the status quo would have lower average contributions to the NYH payroll tax than to health insurance under the status quo. Those not offering health benefits under the status quo would have increased contributions under the NYHA. The research described in this report was commissioned by the New York State Health Foundation (NYSHealth) and conducted by RAND Health. 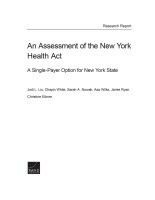 Liu, Jodi L., Chapin White, Sarah A. Nowak, Asa Wilks, Jamie Ryan, and Christine Eibner, An Assessment of the New York Health Act: A Single-Payer Option for New York State. Santa Monica, CA: RAND Corporation, 2018. https://www.rand.org/pubs/research_reports/RR2424.html.